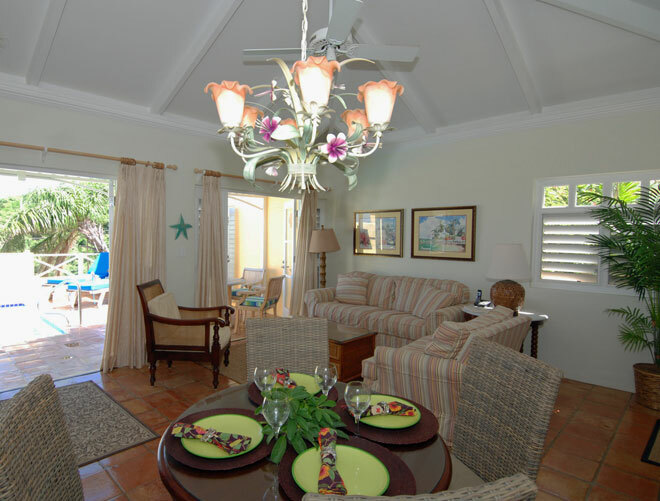 This upscale 1 bedroom/2 bath private villa out on St. Croix’s serene east end, nestled in the hillside, within the community of Villa Madeleine. 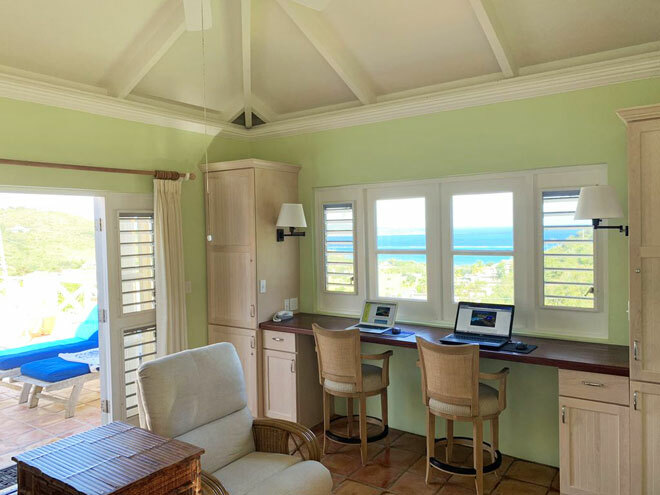 Completely renovated and refurnished in upscale decor and boasting of sweeping Ocean views including Buck Island, the Reef Golf Course and surrounding green hills. On extra clear days you can see the hills of St Thomas and St John. 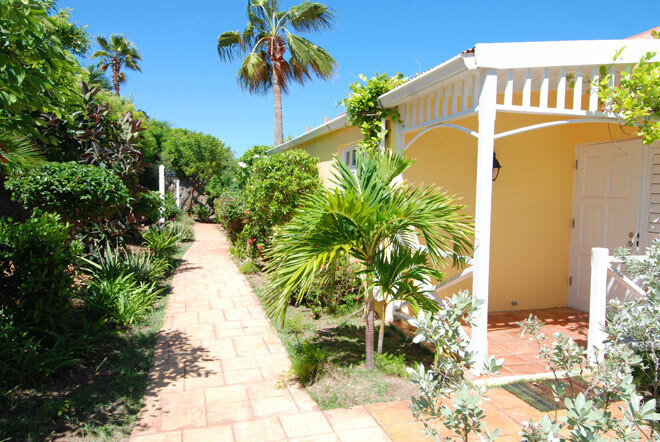 This top tier villa is completely renovated and features complete air conditioning and no detail has been overlooked for quality. 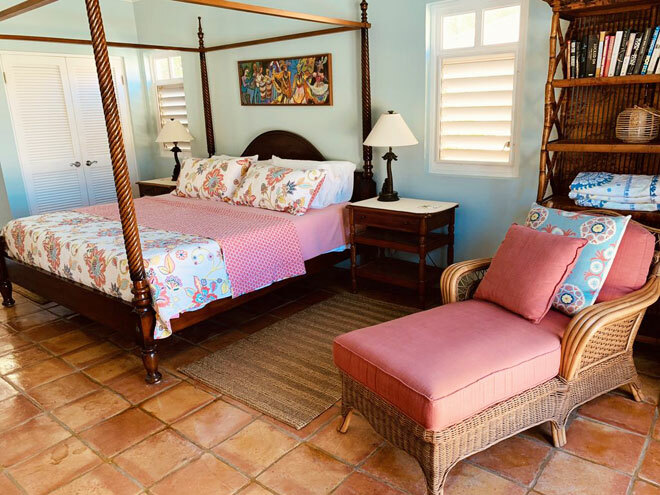 This villa has recently been reconfigured to one Master Suite and a Den and is excellent for the discerning couple interested in a special Villa Madeleine rental. 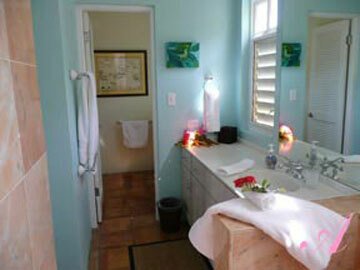 The villa has been modified to include only one delightful Master Suite. 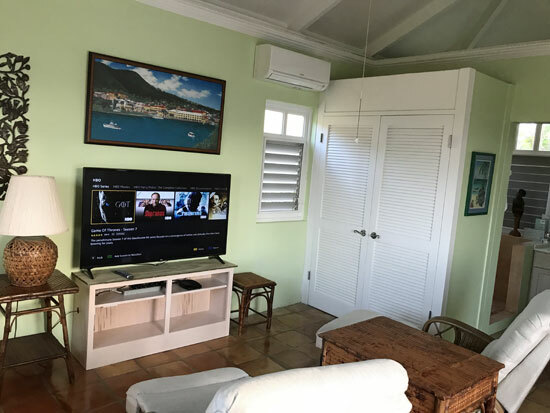 The 2nd bedroom suite has been outfitted as a Den with 55" HDTV, Apple TV, two comfortable recliner chairs for perhaps a movie at night and a handy mahogany bar top overlooking the ocean for those that might need to catch up on any emails while traveling. 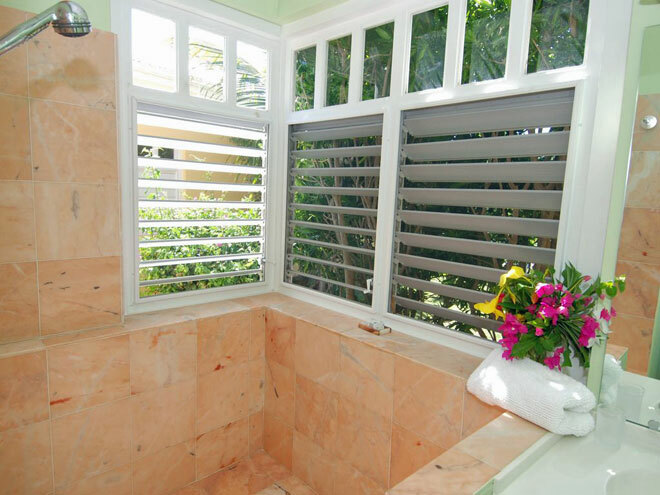 There is a separate marble garden shower bathroom in the Den. The villa only sleeps 2 people in one king bed. There is no bed in the Den (former 2nd bedroom)! 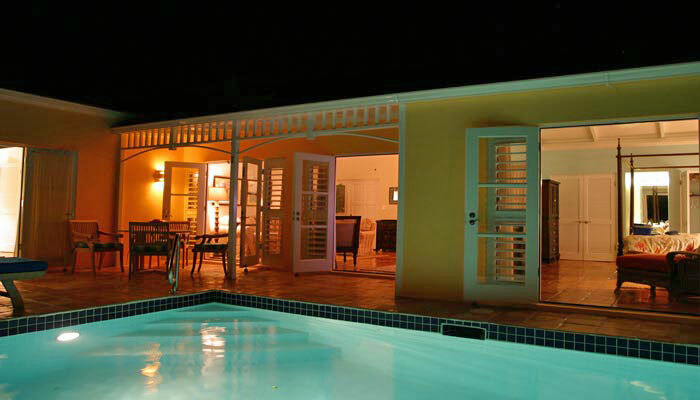 The villa is luxuriously furnished in traditional West Indies mahogany and upscale decor. 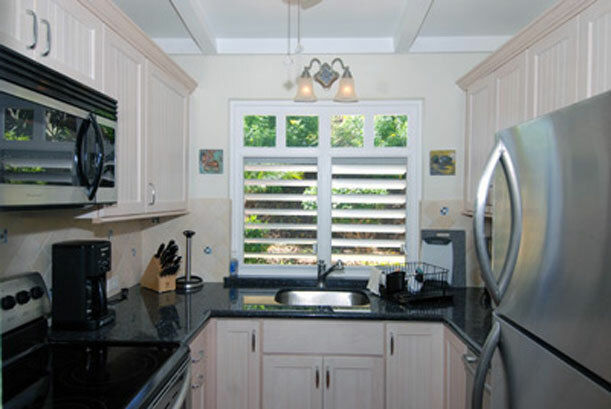 Artwork is of local art and caribbean themes. Features include cable TV in the master bedroom suite and the den big screen tv. (There is no tv in the great room area). 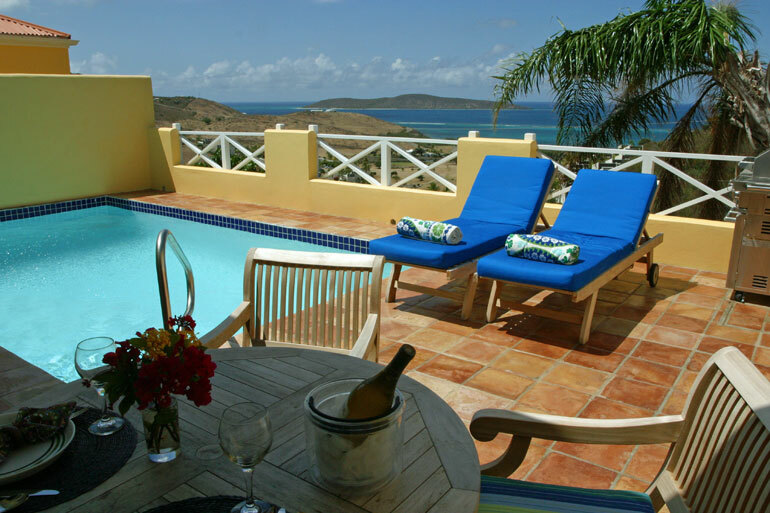 Other amenities include complete air conditioning throughout the villa, Ipod ready music system, High-Speed Internet, deluxe Gas Grill, Pool Floats, tennis racquets. All Linens and Towels are provided as well as beach/pool towels, beach chairs, beach cooler. 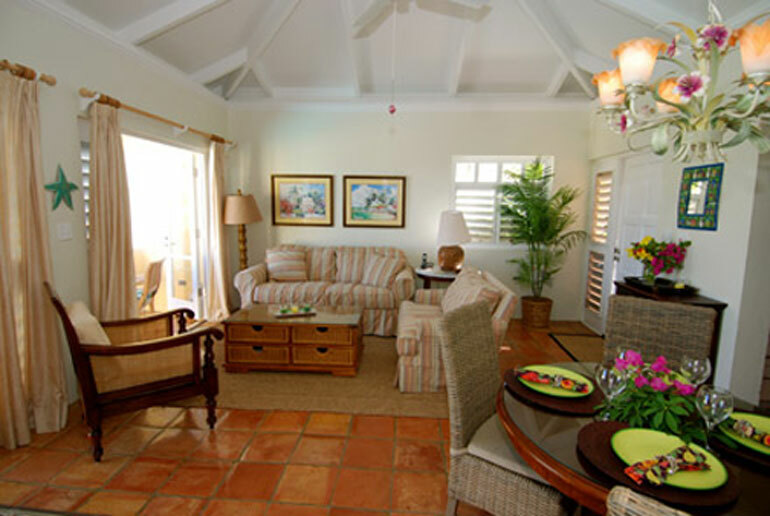 The great room area is awash in elegance and tropical ambiance while retaining the feeling of caribbean comfort. Comfortable brightly covered striped upholstered sofa and dark wood cane arm side chairs provide additional seating. 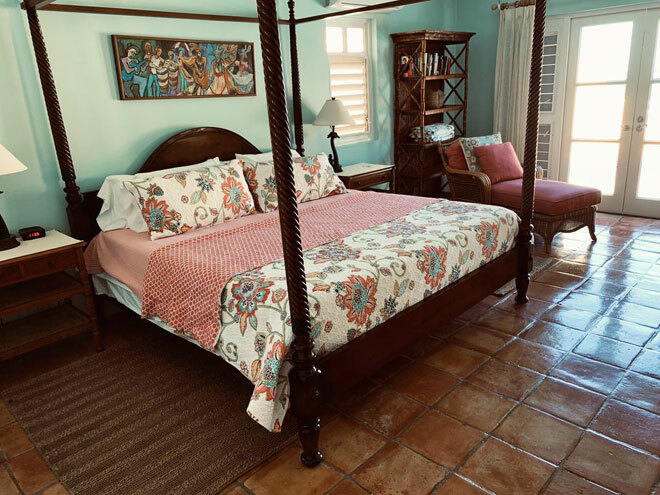 The seafoam blue accented master suite off the living room features a mahogany 4 poster canopy king size bed with tempurpedic mattress, high quality linens and matching accent pieces. The serene Master suite with mahogany poster King bed, tempur-pedic mattress, top quality bedding and linens, local artworks, flat screen TV and large marble garden shower, makes a lovely retreat after a fun day. Different than many villas in the community with noisy window type AC units in the bedrooms, at Limetree just set the whisper quite mini split AC to your desired temperature and sleep tight. 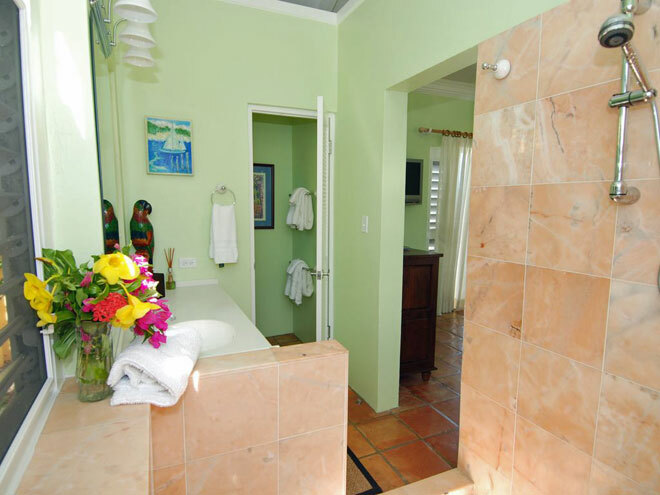 The second room off the pool deck is a den/office and features a flat screen TV, lounge chairs and bath/shower ensuite. 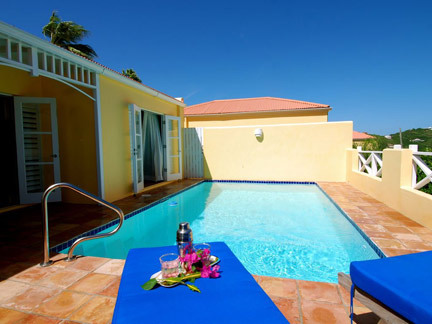 Lime Tree Villa of course features the signature item of Villa Madeleine units with its own very private electric heated 21’x 12’ pool- - enclosed in a walled garden setting with pairs of French doors leading from the living room as well as each bedroom suite. and has the added ambiance of overlooking the North shore of Buck island and the Reef Golf course as well as the ever changing water hues and sail boats passing. The ELECTRIC HEATED POOl with pool water temperatures averaging 82 in the winter months - perfect for a refreshing dip! (The pool heater is operating from November until June to ensure pleasant swimming). 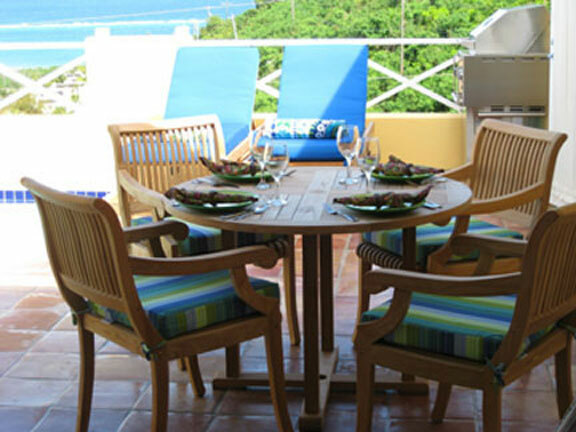 Stay at home, relax and enjoy grilling and dining al fresco while enjoying your caribbean ambiance. 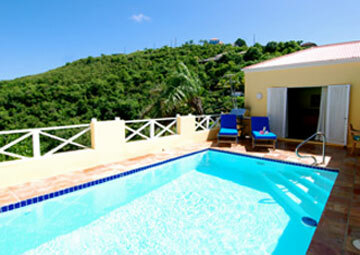 The grounds of Villa Madeleine provide a lush tropical environment. 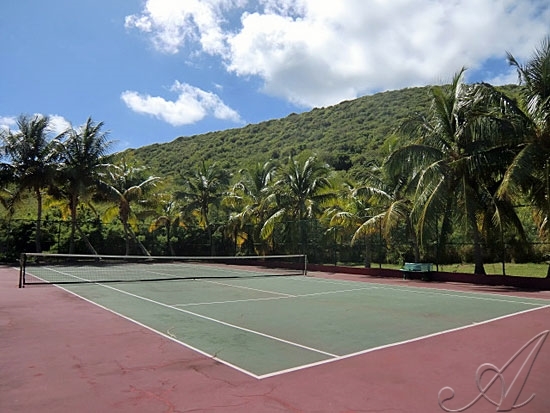 Lovely sea views with palm trees swaying in the breeze and there's even a tennis court on grounds. See the complete Villa Madeleine Resort official web site!